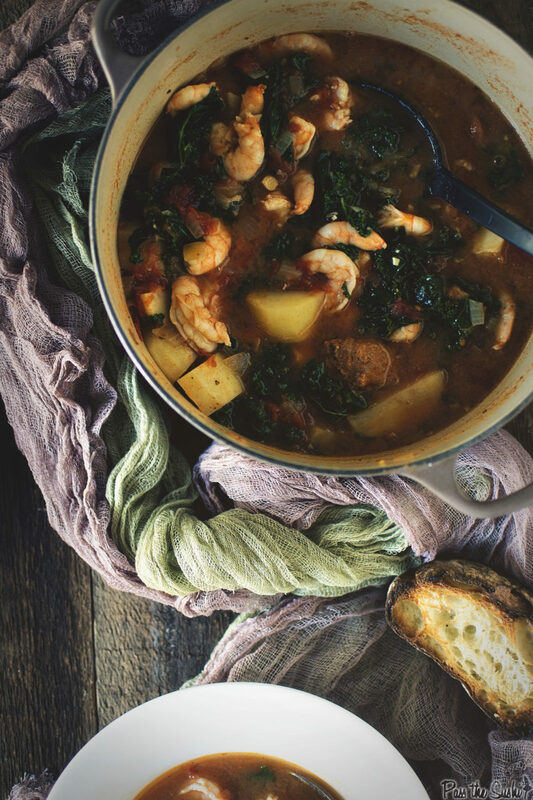 Whether you are preparing for a snow storm, buckling down for winter, are entertaining hordes of guests, or really are just in the mood for a quick fix soup that is popping with flavor and texture – this Shrimp and Chorizo Stew. 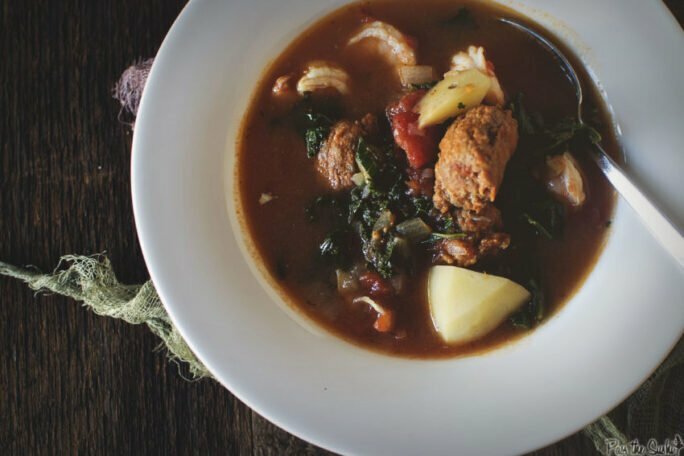 Big chunks of chorizo, large shrimp, potatoes and kale – you really can’t ask for Stock up on the ingredients today and hop into the kitchen. The dinner crowd (no matter how big or small) will thank you. Take their gratitude, run with it. In a large Dutch oven over medium heat, coat the bottom with the olive oil. Toss in the onion and garlic; cook about 15 minutes, until soft. Add the chorizo, paprika, and 1 teas salt. Cook for 2 minutes, the remaining oil will turn red. Add the tomatoes (without the juice), bay leaves, thyme, and oregano. Cook, stirring as needed for another minute. Add the potatoes, chicken broth, reserved tomato juice, and an additional teaspoon of salt. 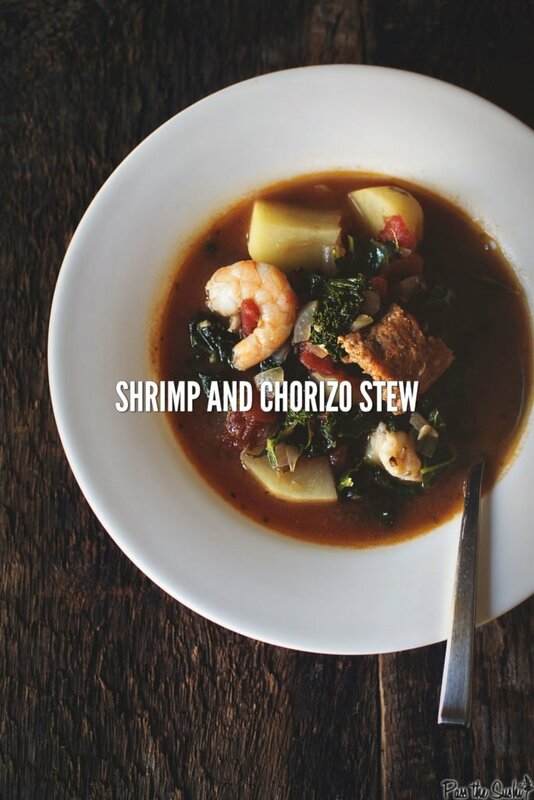 Bring to a boil, reduce to a simmer, and cook for 15 minutes longer. Toss in the kale and cook for an additional 10 minutes. The potatoes should be fork tender. Lastly, add the shrimp and cook for 3 minutes, until pink. 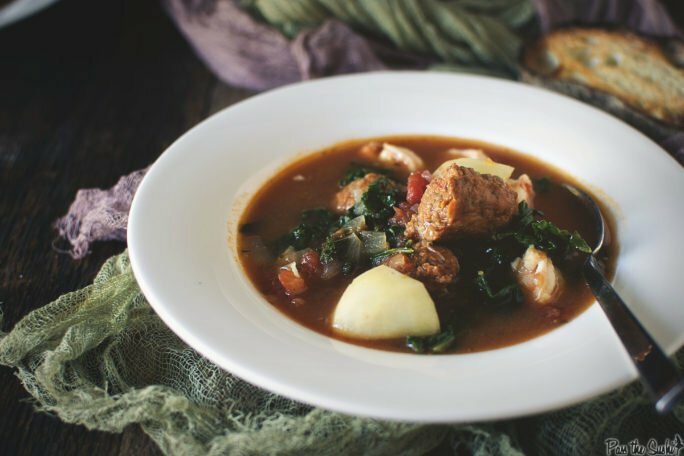 Season as needed, and ladle into bowls.